Here’s our page for any off the wall stuff you’d like publishing, nothing “heavy” just a bit of a laugh? Invaluable footage, showing how our cars were built, not a robot in sight! 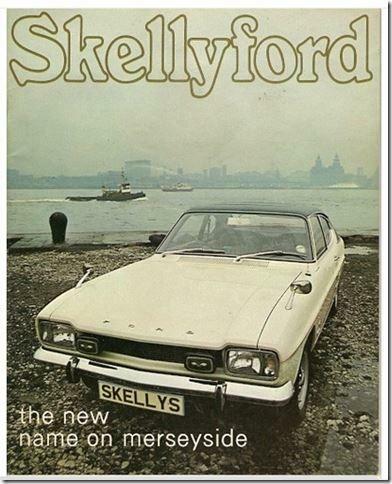 Not a Triumph, but may provoke a few memories for us oldies? 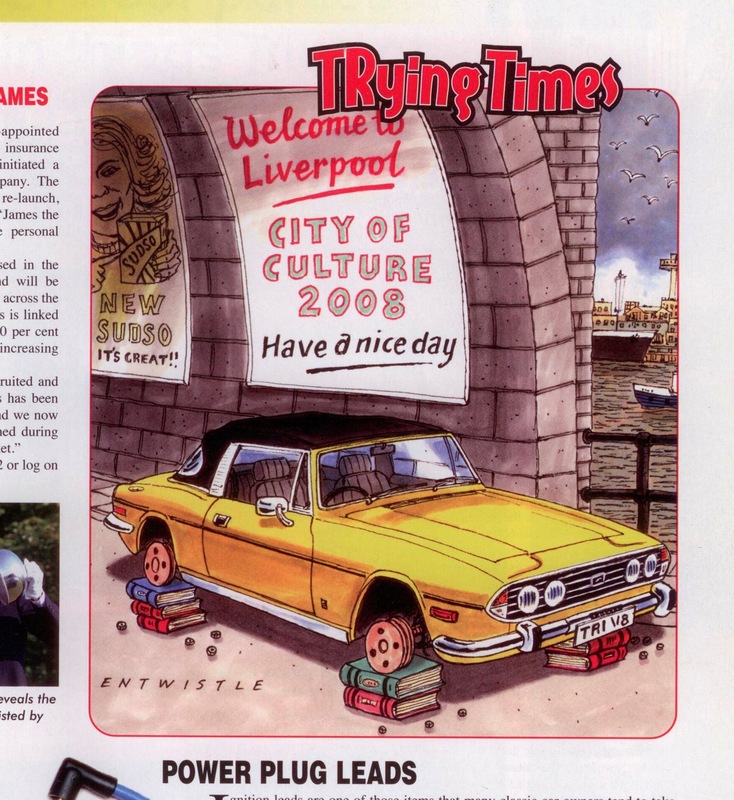 Shortly after Liverpool was announced as 2008 European Capital Of Culture, Triumph World magazine published [in the Oct/Nov 2005 edition] the following “cartoon”. Hilarious, eh? I was rather incensed, and took pen to paper [ok, keyboard to inkjet] and took Triumph World to task. I’ll let you decide if the following reply from the late Editor Tony Beadle placated me in any way….. in all honesty I was left scratching my head. 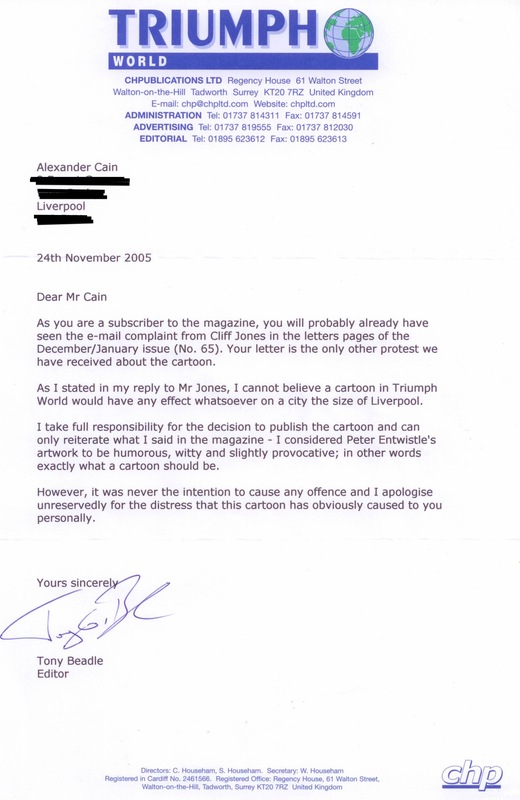 At least he admitted responsibility for publishing the cartoon and saw fit to reply. I had a quick chat with him about it at Stafford a year or two later, he seemed embarrassed more than anything, maybe due to me busily buying up all his stock of magazines? Alex.